One of the chief difficulties in studying the history of Christianity is the lack of prior exposure to the subject that students often bring with them. Struggling to keep up with the large numbers of names, dates, and placespresented to them, it is easy for students to lose sight of the "big picture," the broad sweep of movement and change that instructors most wish to communicate. 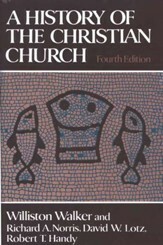 Justo Gonzalez has written this book to help students gain just such a quick and basic grasp of the main periods and issues in the history of Christianity. 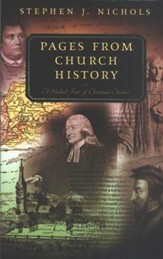 Drawing upon his own extensive experience and that of others, he contends that having been introduced to the essentials of church history in a brief and assecible form, students are then far better able to understand and appreciate what they encounter in more detailed lectures and reading. One of the chief difficulties in studying the history of Christianity is the lack of prior exposure to the subject that students often bring with them. Struggling to keep up with the large numbers of names, dates, and places presented to them, it is easy for students to lose sight of the "big picture," the broad sweep of movement and change that instructors most wish to communicate. 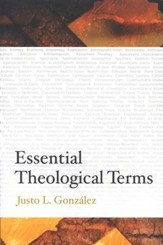 Justo Gonzalez has written this book to help students gain just such a quick and basic grasp of the main periods and issues in the history of Christianity. Drawing upon his own extensive experience and that of others, he contends that having been introduced to the essentials of church history in a brief and accessible form, students are far better able to understand and appreciate what they encounter in more detailed lectures and reading. 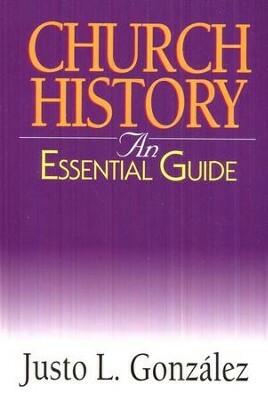 Gonzalez provides a comprehensive opening chapter that summarizes major issues and concerns of each of the principal eras of church history. Subsequent chapters focus on the ancient church, the Christian empire, the Middle Ages, the Reformation, the seventeenth through nineteenth centuries, and the twentieth century and the end of modernity. 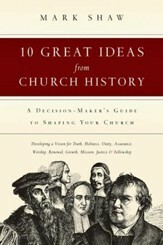 I'm the author/artist and I want to review Church History: An Essential Guide.